Kenyan startup Finplus, which develops software that helps financial service providers reach more customers in a cheaper manner, has opened an office in Johannesburg to lead its expansion into the Southern Africa market. 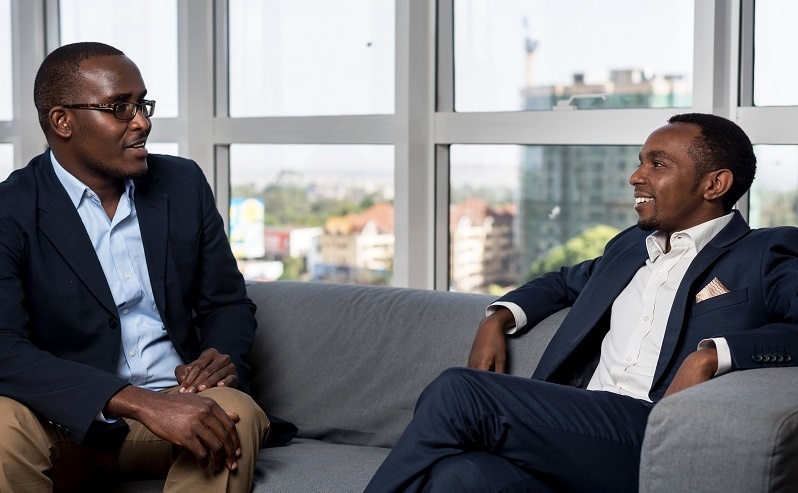 Founded in March 2017 by Kageni Wilson and Bernard Banta, Finplus provides fully-managed software to help financial services providers operate efficiently and scale cost-effectively in any market. Its Software-as-a-Service (SaaS) platform enables the easy creation, rapid launch and efficient management of digital deposit, loan and insurance products, and contains modular solutions that entirely automate or dramatically accelerate things like onboarding, KYC validation, risk decisioning, bulk collections and disbursements, and SMS and email communications. The idea for the business came about in 2016, when Wilson saw World Bank figures that estimated around two billion adults were excluded from the formal financial system worldwide. “Since banks and microfinance institutions tend to be for-profit businesses, it seemed strange that they would ignore a potential market of two billion people, the majority of whom did have some money but tended to deal mostly in cash, and it got me curious,” he said. After doing some research, Wilson and Banta decided it came down to one main problem. “The average cost of serving a customer while remaining compliant was quite high, and the financial services provider would have to price this cost into their products, making them unaffordable to many adults in lower income brackets,” Wilson said. Other fintech companies like Branch, Tala and JUMO were already building their own technology to solve this exclusion problem, but while they were launching consumer-facing businesses, Finplus decided to take a different approach and instead white label its technology and sell it directly to the financial service providers looking to launch digital financial services into multiple markets. “The overwhelming demand for credit in East Africa meant micro-lending was the natural place to start,” Wilson said. Since its launch, Finplus has processed and disbursed well over US$120 million worth of micro-loans to over 152,000 people and businesses, while working with only a handful of lenders. “During this period our focus was on building and improving our software while continuously stress-testing it in the real world. Due to the ambition of our customers and our commitment to ensure these vital services reach as many underserved people as possible, we have come a long way from our first product to a robust, end-to-end digital finance platform,” said Wilson. Finplus is currently has live customers in Kenya, Tanzania and Uganda, including the likes of Premier Credit, Platinum Credit, Fanikiwa, and PostBank, and recently opened an office in Johannesburg. The team it is building there, Wilson said, will lead its expansion into Southern Africa. The startup, which has so far funded operations through a combination of angel funding and customer revenue, charges financial service providers an annual subscription fee for the components of its platform they use, allowing these companies to run ultra-efficient operations and scale their technology spend based on usage as they grow. WIlson said this model had worked well. “Since we went live our customers continue to consume more of our software in more parts of their business each quarter, so revenues are growing. We are excited about bringing this value to ever larger customers operating in many more markets,” he said.